Larry from Edgewood, KY sent us some great pictures of his newly installed Acanthus Wood Corbels. 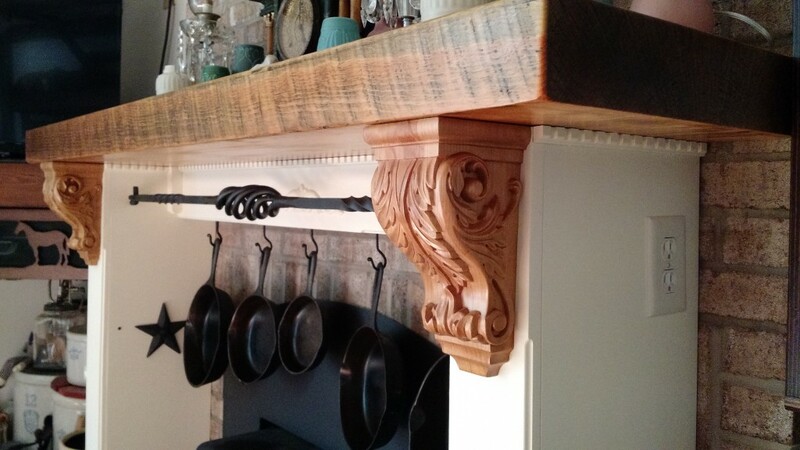 Larry chose to use our traditionally styled corbels to give his kitchen mantel a unique, stylish look. 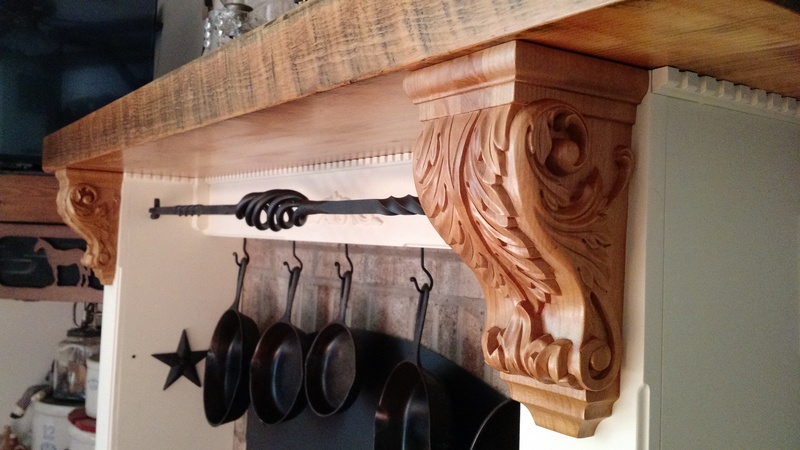 Wood corbels are great for countertop and shelf support, supporting up to 250 lbs. Not only are our wood corbels effective as structural support, they double as decorative items. They also come ready to be painted or stained and are available in various designs. Click below to check out our wide variety of wood corbels!